In light of recent events, it seems appropriate to post these pickturs. 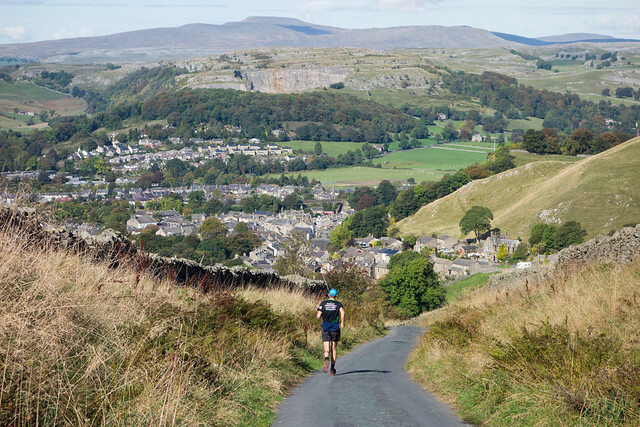 The second photo shows James running towards our house, with Settle and Giggleswick in the middle distance, the two metropolises have merged together into one big conurbation, like Tokyo and Yokohama. 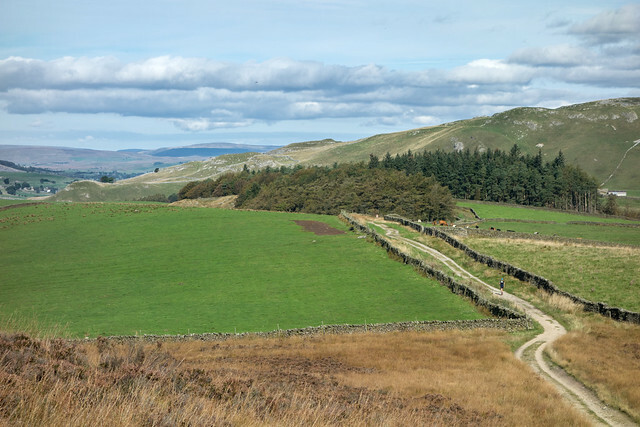 And Ingleborough hill, like Fuji-san, lies further beyond. Perhaps I was hallucinating. At this point I was in a world of pain, having fallen off my bicycle about 40 minutes earlier. I carried on riding, as I decided that, as I was going to be in pain anyway, I could distract myself with a nice bike ride in the sunshine. The worst thing about falling over on gravel is the bath afterwards where you have to scrub the dust out of the wounds. The best part is the rolling about on the loose stuff which means that many parts of the body absorb the impact. So today everything hurts, but nothing too much. All very nice, but shouldn't somebody be writing about Curry/Lewis new thing on sensitivity.